Migrating from a vSphere standard switch to a distributed switch is not that complicated at all if you plan it properly. Over the years I collected a lot of (troubleshooting) experiences with the vDS. Anyway I want you to learn from my mistakes to do (not-so-daily) tasks right from the beginning. Portgroup naming and VLAN configuration remain the same way as they were before. During the process the networkcomponent failures that can be tolerated will be decreased. If a network device (switch/nic) is failing during the migration there might be an impact. Nevertheless during the migration no connectivity loss is expected. 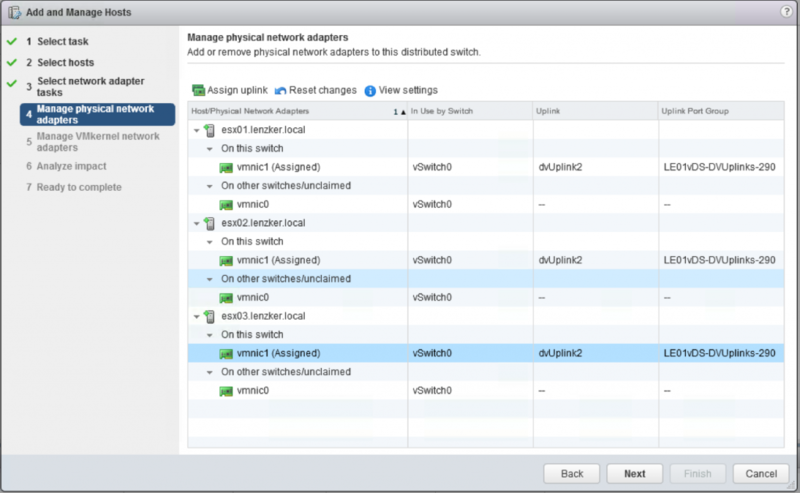 Create a new virtual distributed switch. Create the portgroups (for the VM and VMkernel ports) with the correct name, vlanid and port binding settings. Remove 1x uplink from the vSS and add it to the corresponding uplink port on the vDS. 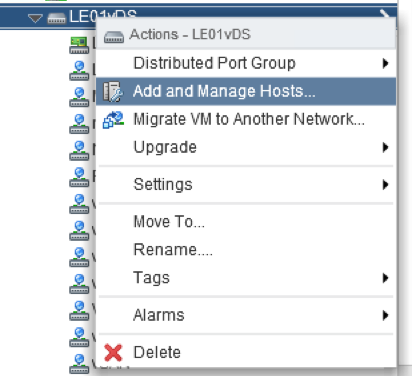 Migrate existing VMkernels from vSS to the corresponding vDS portgroup. 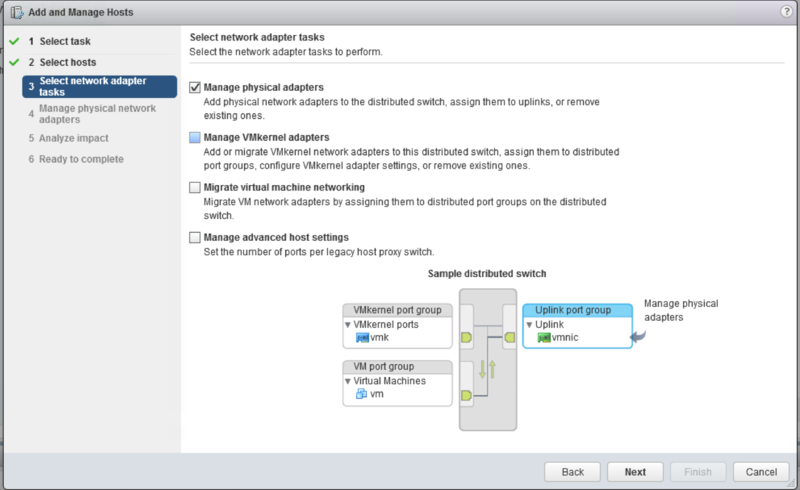 Migrate VMs from vSS portgroups to the corresponding vDS portgroup. Remove the remaining uplinks from the vSS and add it to the corresponding uplink port on the vDS. Evaluate, design and configured advanced vDS features. Remember that once you have a vDS established in your environment you can migrate in vSphere 6.0 from a vSS to vDS during a vMotion procedure (Web Client only). 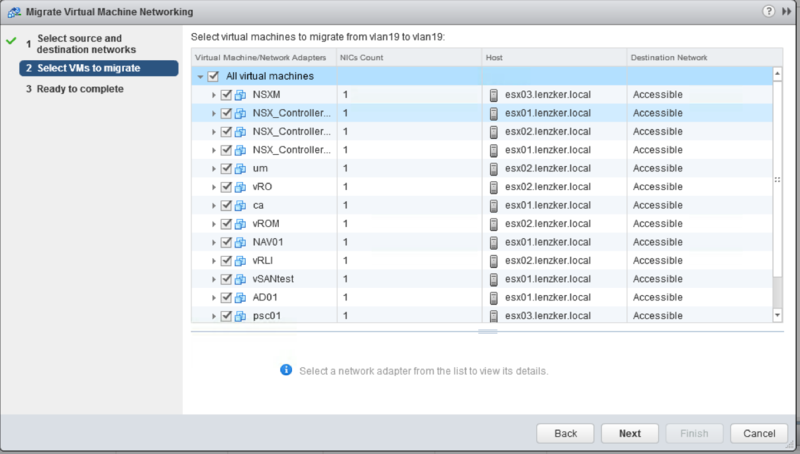 Anyway you are not able to migrate back from a vDS to vSS. In the following I describe the necessary steps in more detail. The steps are explained in a manual and an automated way involving PowerCLI. The Usage of the PowerCLI script increases the migration speed and mitigates the risk of ‘typo’ errors. But anyway I cannot give any guarantee/support for the scripts I am using. Please verify them and check what they are doing. They worked totally fine in my cases so far, if your environment differs from that one I have, the behaviour might be different. Any comments are appreciated. Once the vDS is created, we need to create all portgroups the exists on the existing vSwitch. Make sure not to do any typos in this case, otherwise you might lose connectivity in certain portgroups. Open PowerCLI and connect to your vCenter where you want to place the vDS. Run the following snippet. The snippet just copies the existing portgroup names/vlan from a reference host (just select one with the correct network settings) and creates a new vDS with the health-check for MTU/VLAN/Nic-Teaming enabled. The vDS portgroups are default portgroups (static binding, no fixed size). $datacenter = Get-Datacenter -Name "LE01"
Now we are ready to remove 1 vmnic from the current vSS which might remove the redundancy of our network. 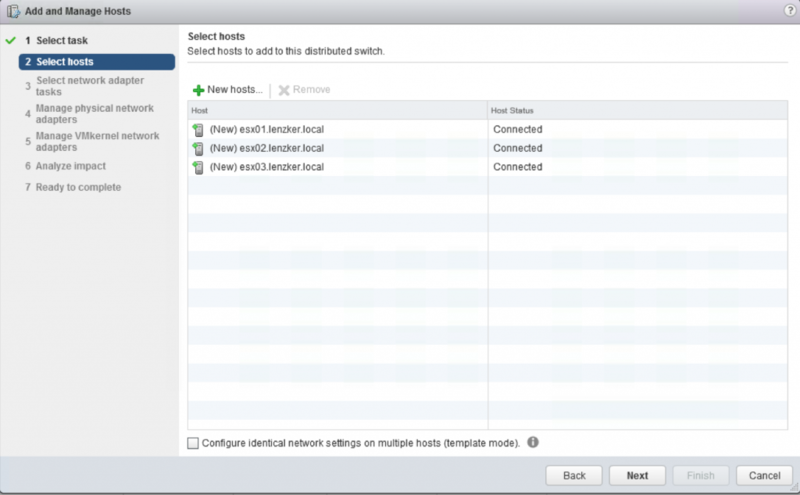 Select your vDS in the networking view, do a right-click and chose Add and Manage Hosts. and select the chosen ones for the vDS. You can minimze the click-overhead by selecting the template mode on the bottom. Now the VMkernel ports get moved to the newly created vDS. If the portgroups and physical infrastructure are configured correctly you should not experience any connectivity problems. If you do so… you might never had a fully functional redundancy in the first place ;-). After the virtual ESXi adapters (VMkernel ports) we now move our virtual machines to the correct newly created portgroup. 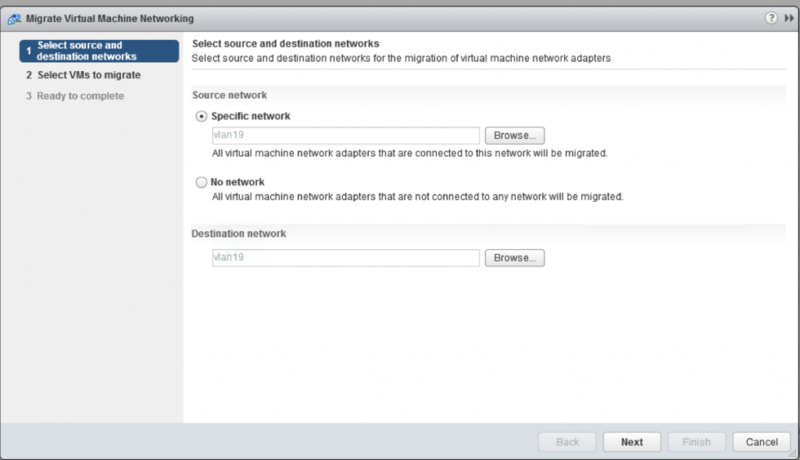 Select the source network (from the vSS) and as destination network the corresponding one on the vDS. 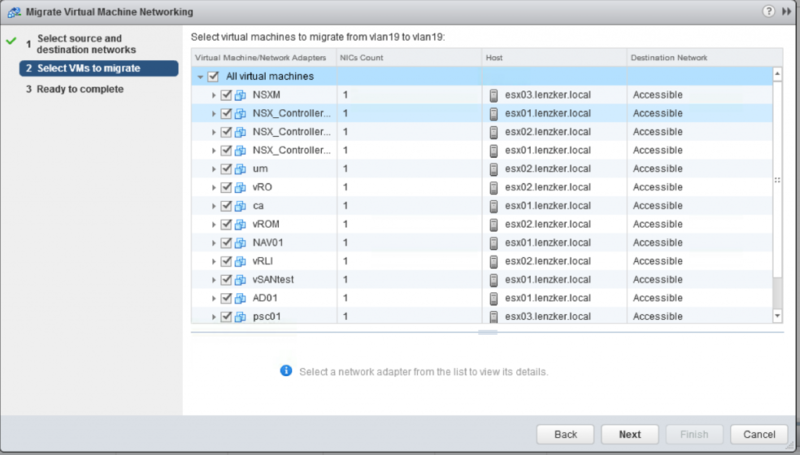 Select all relevant virtual machines and finalize the migration. 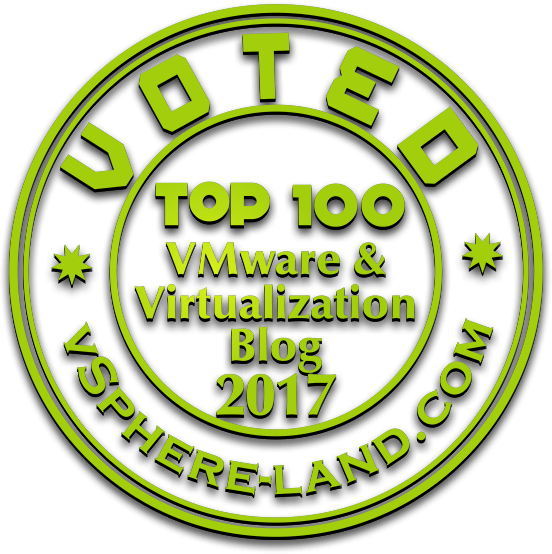 It’s time to move the remaining vmnic(s) from the old vSS (which is now unused) to the vDS and rebuilt a fully functional network redundancy. and assign the vmnic to the new vDS uplinks. Before you finish this task. 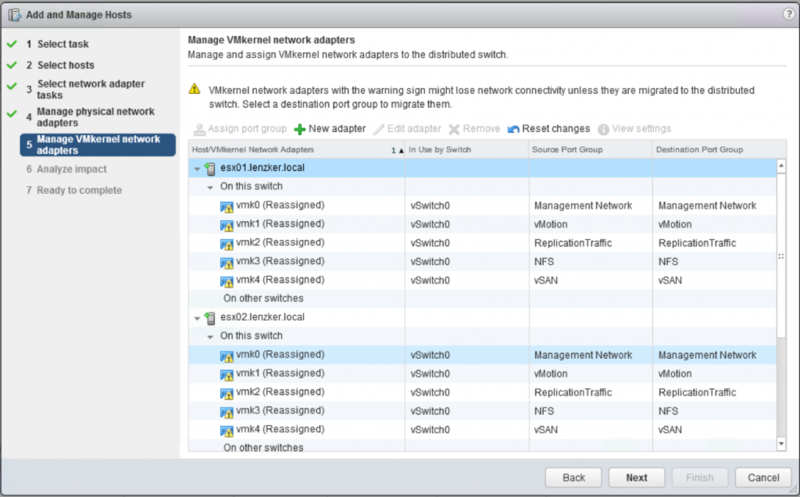 Make sure that no more VMs are connected to the old vSwitch otherwise VMs might lose connectivity. Make sure to verify the connectivity of all components and clean up by removing old vSwitches.